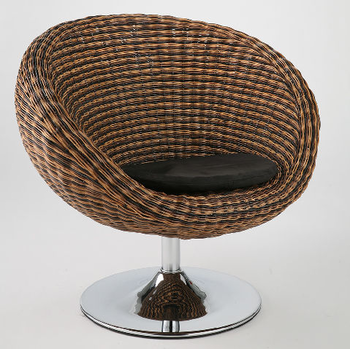 Triple brown rattan with black fabric cushion. Chrome base. Swivels. Note : This price is for Oliana Swivel Chair only.